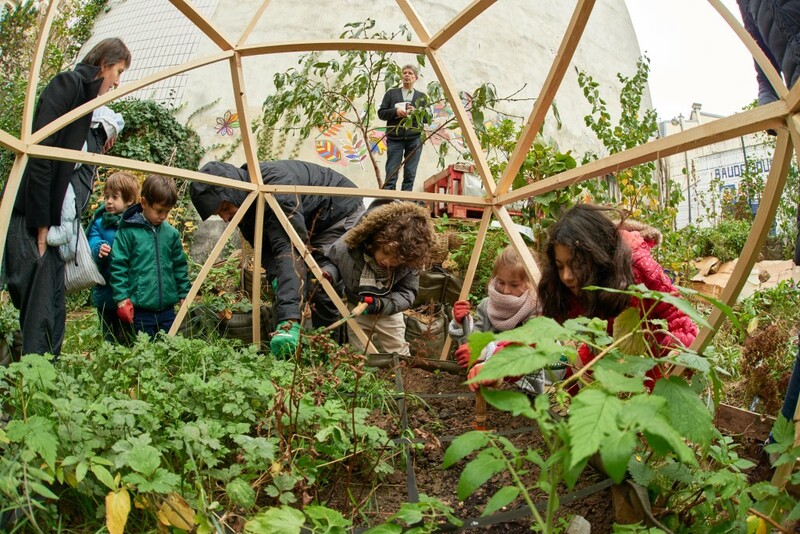 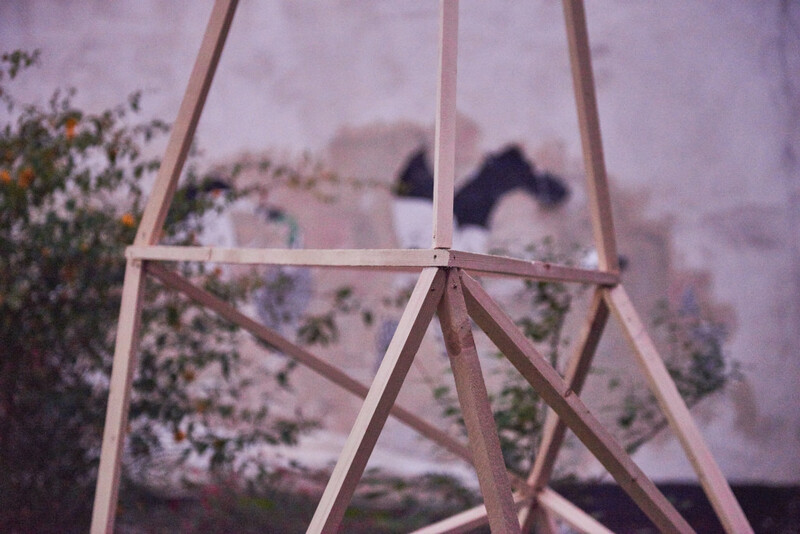 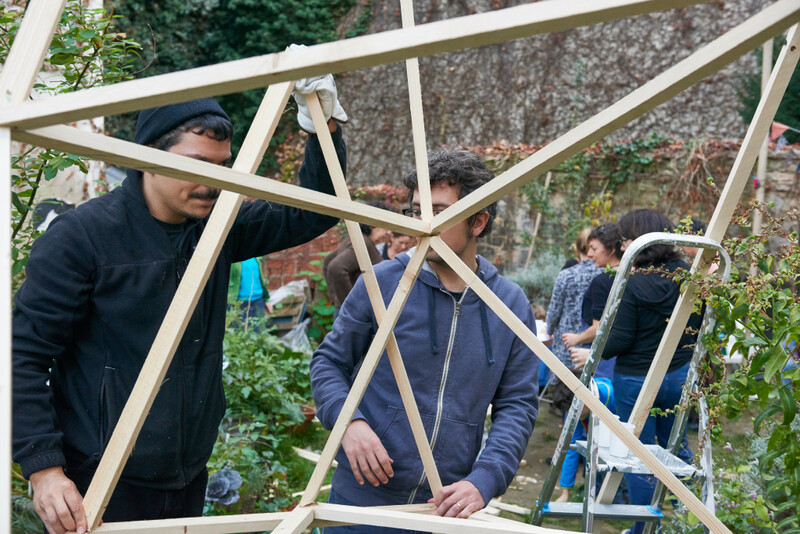 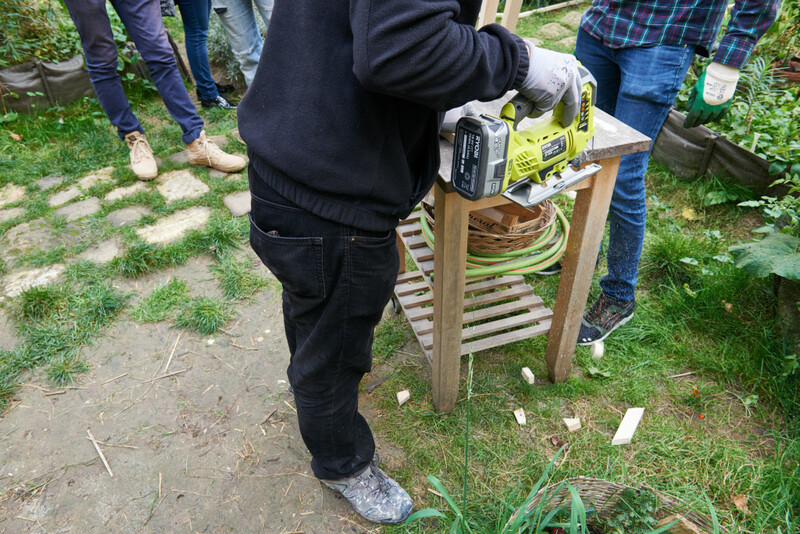 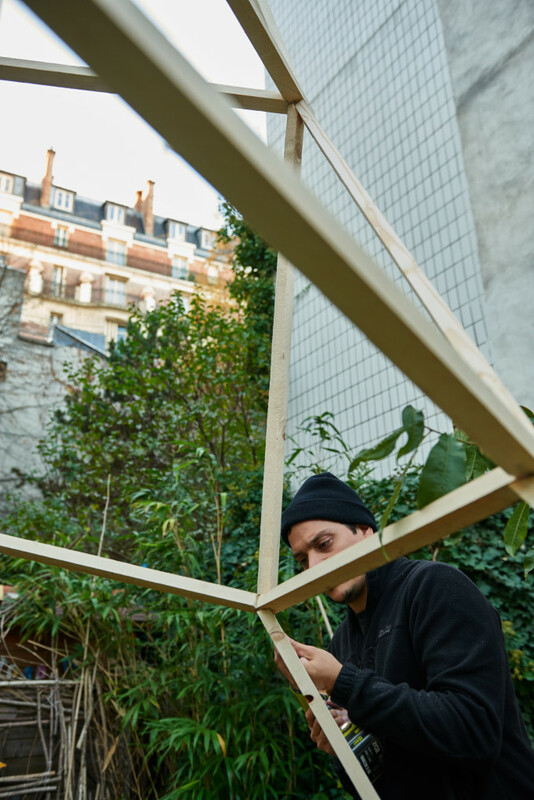 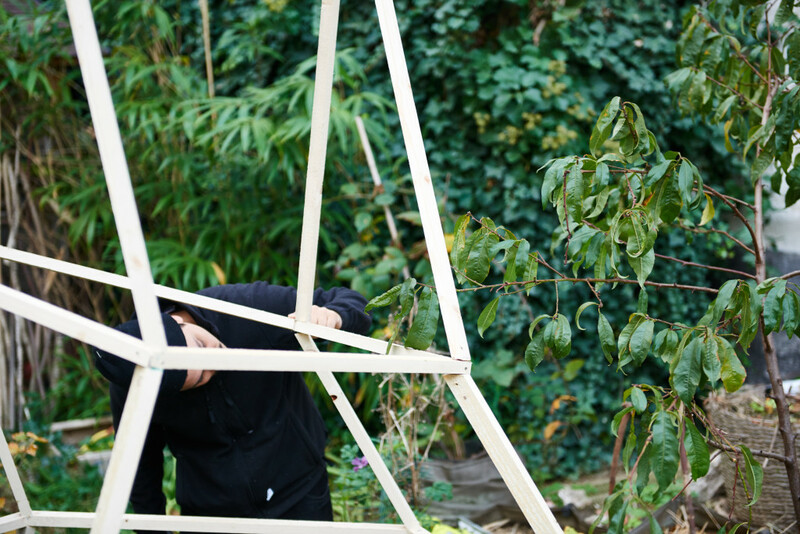 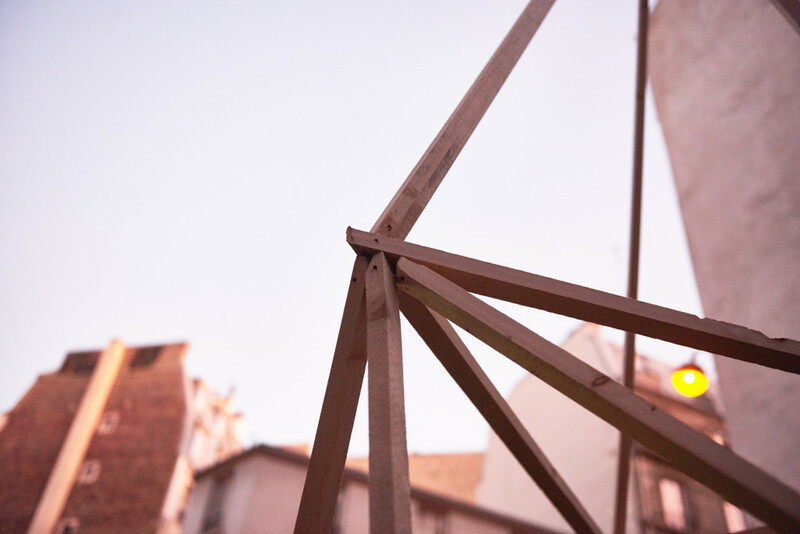 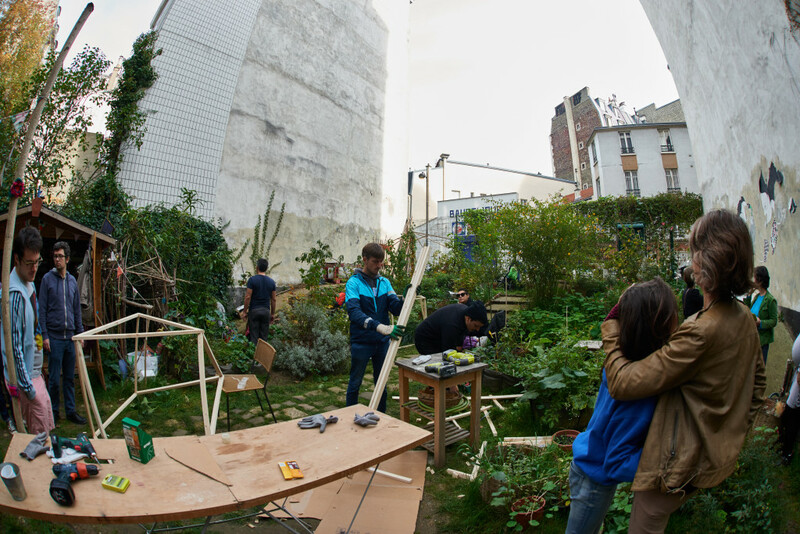 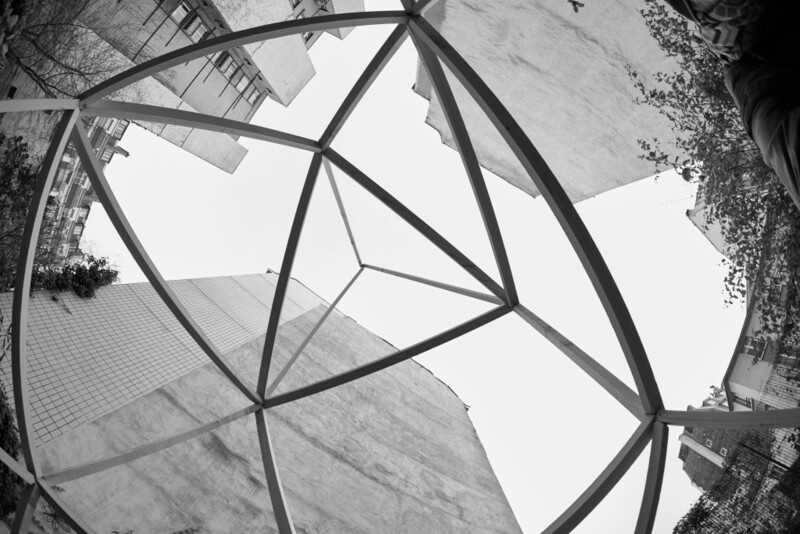 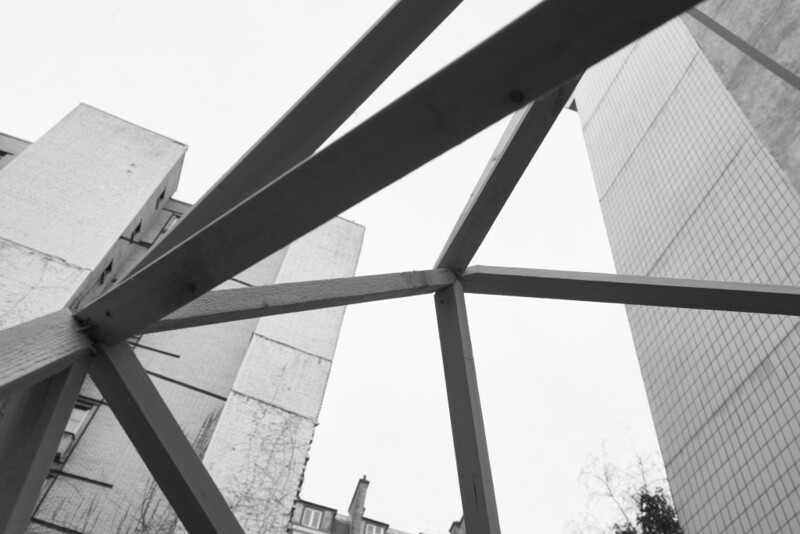 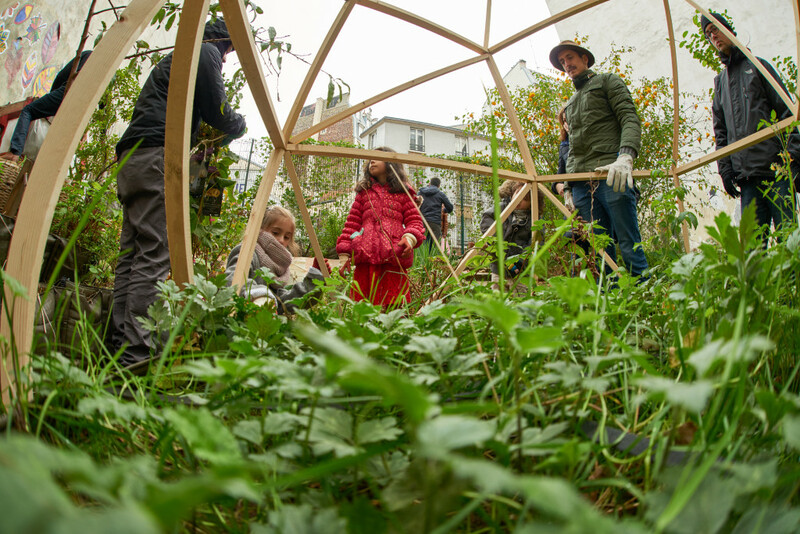 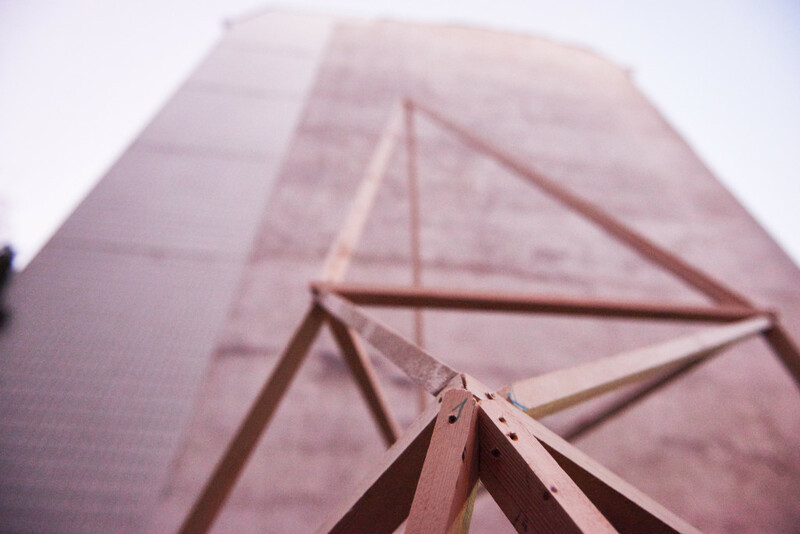 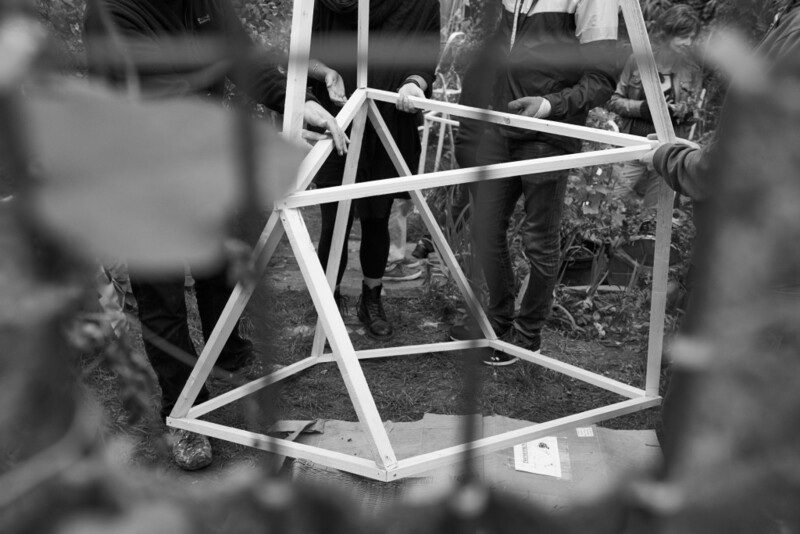 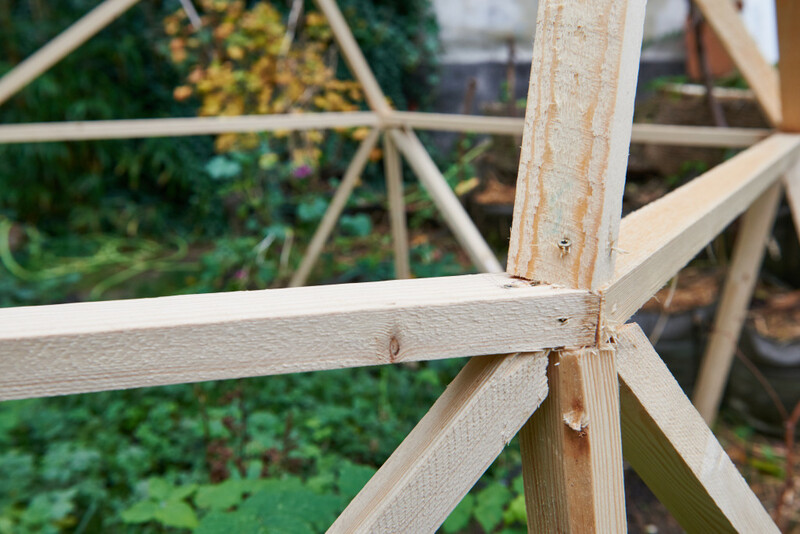 Here we go with the second part of Andreco‘s CLIMATE 01 project in Paris: the installation of a 5meters-tall wooden sculpture in the Jardin partagé Beaudelire, a community garden located in an empty lot of Rue Baudelique in the 18th district. 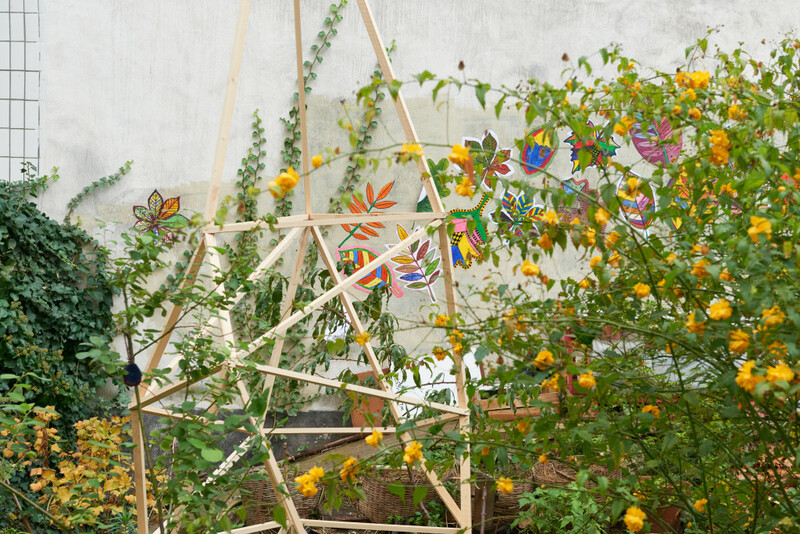 The result of a collective workshop, Andreco’s sculpture has been built around and on top of a tray used to grow herbs and small vegetables, a sort of symbolic “protective armor”. 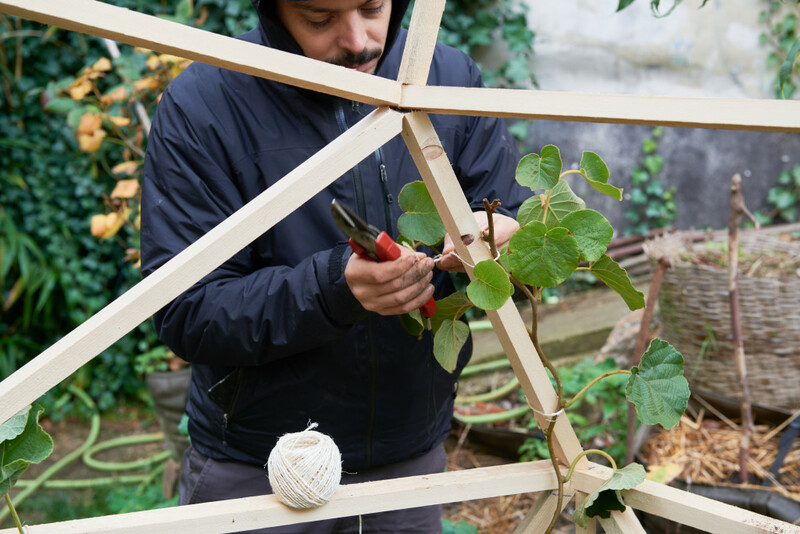 The sculpture is designed in order to interact with the plants of the garden, especially with some climbing kiwis that have been planted together with the residents. 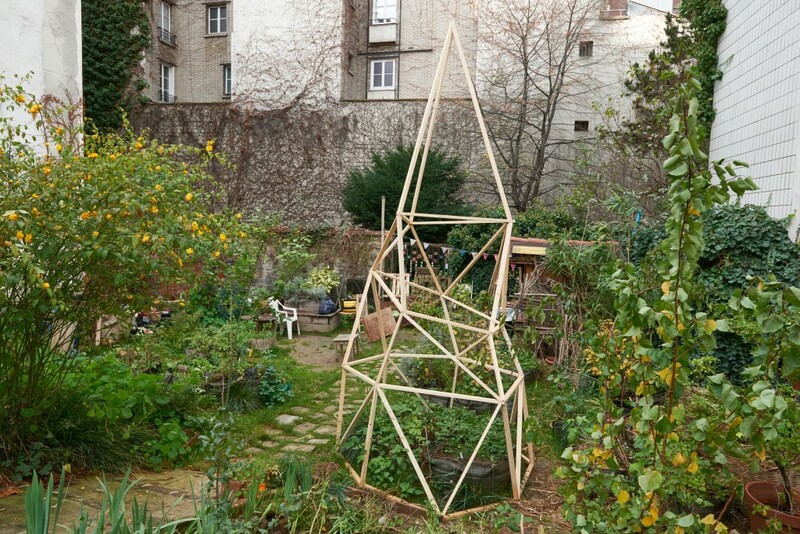 As a landmark for the territory, the sculpture becomes a sign for the identity of the garden and the local claims for the environment. 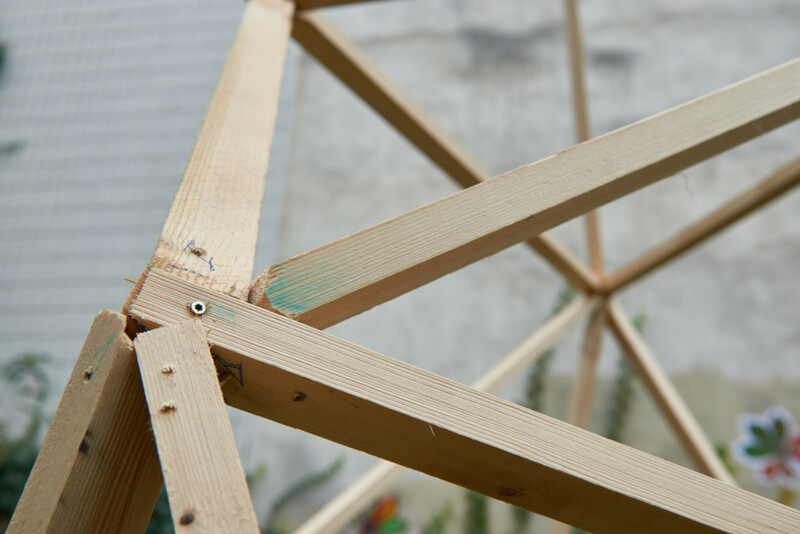 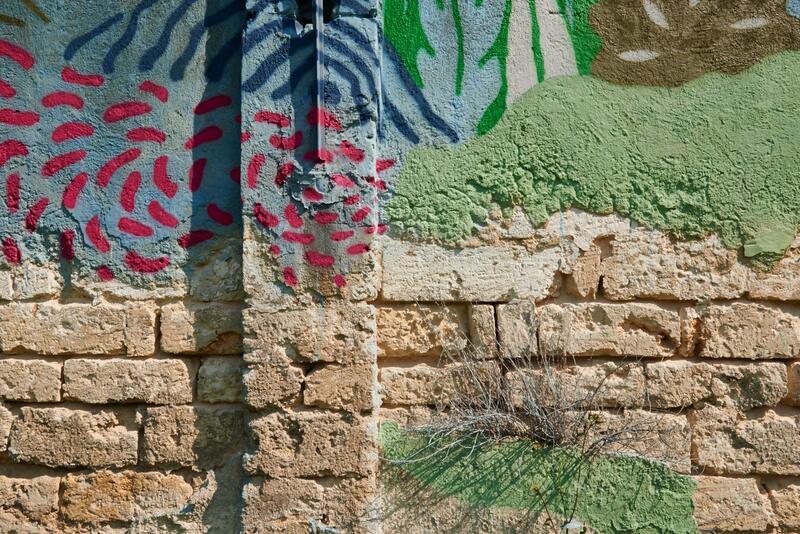 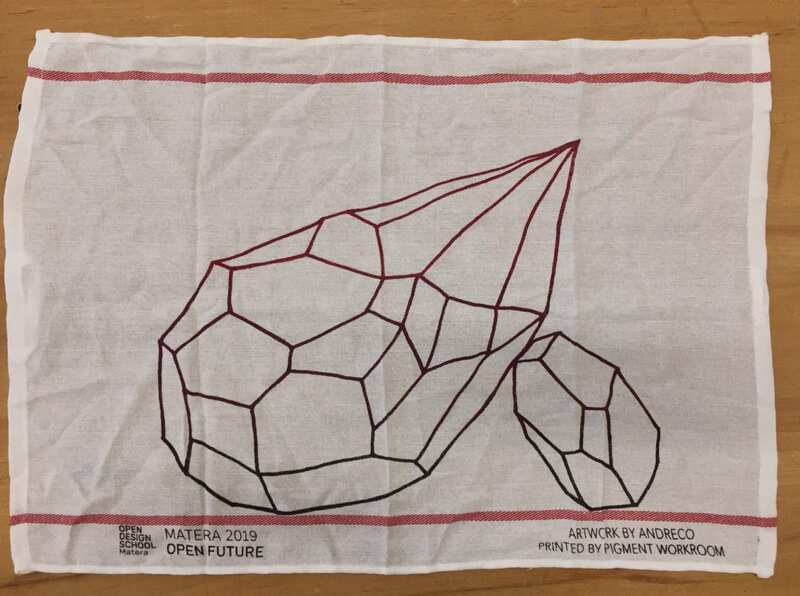 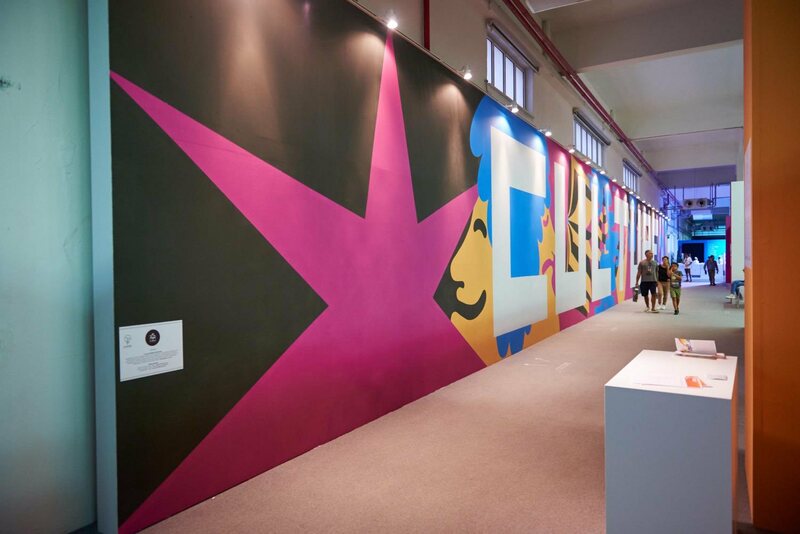 This artwork integrates a series of sculptural projects that the artist did for a wider research about the relations between humans and nature. 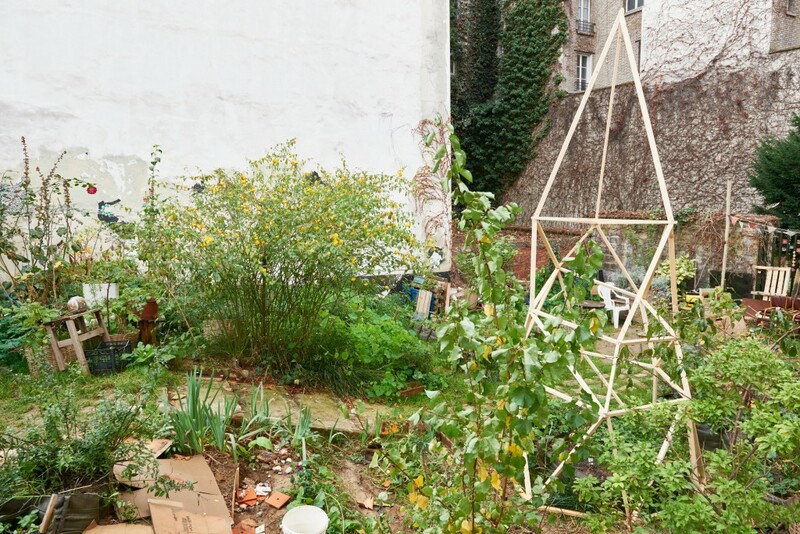 The revegetation of empty lots is very common in Paris, and particularly in the 18th district. 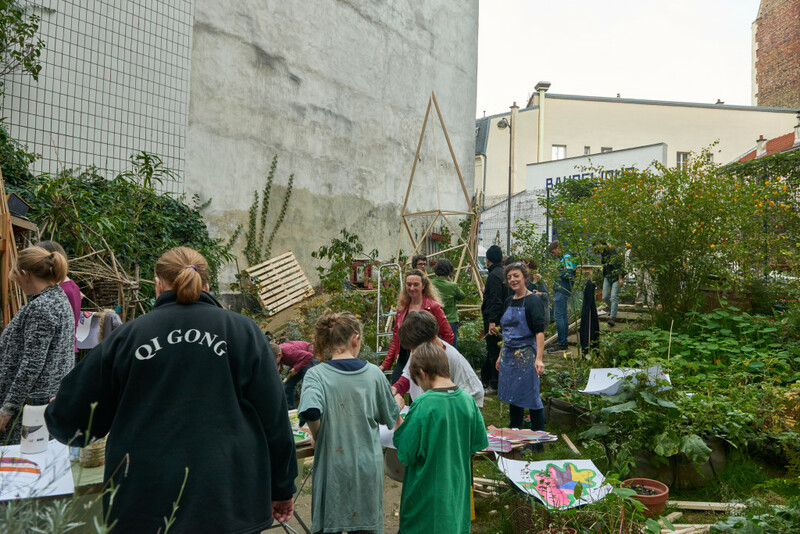 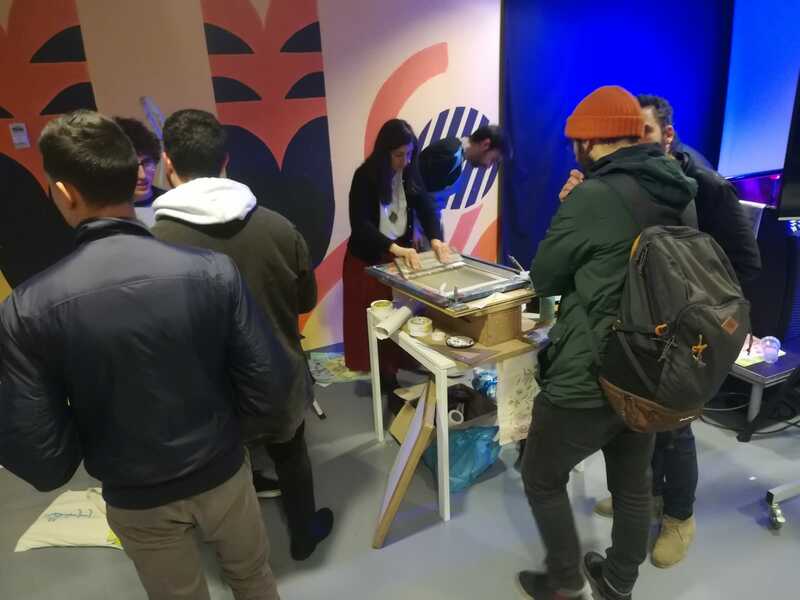 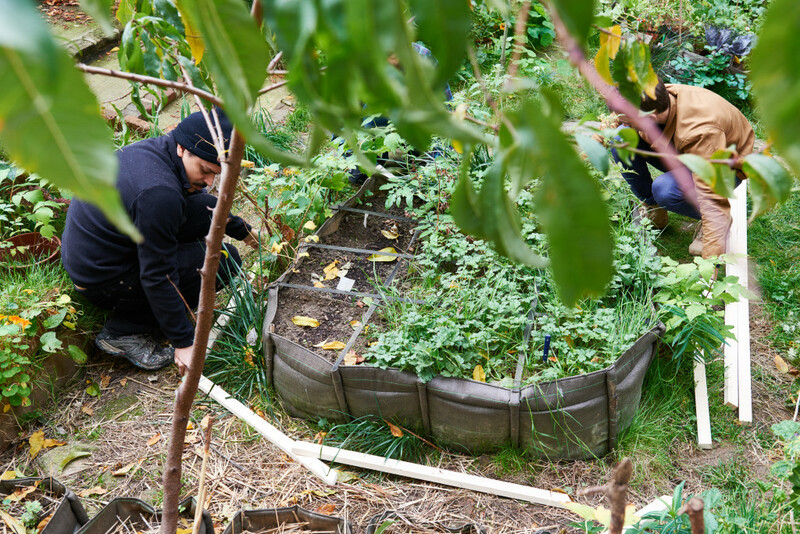 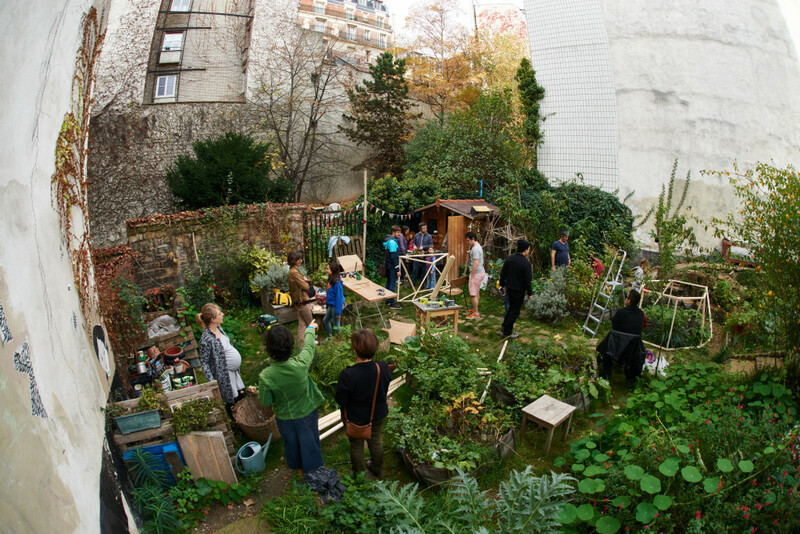 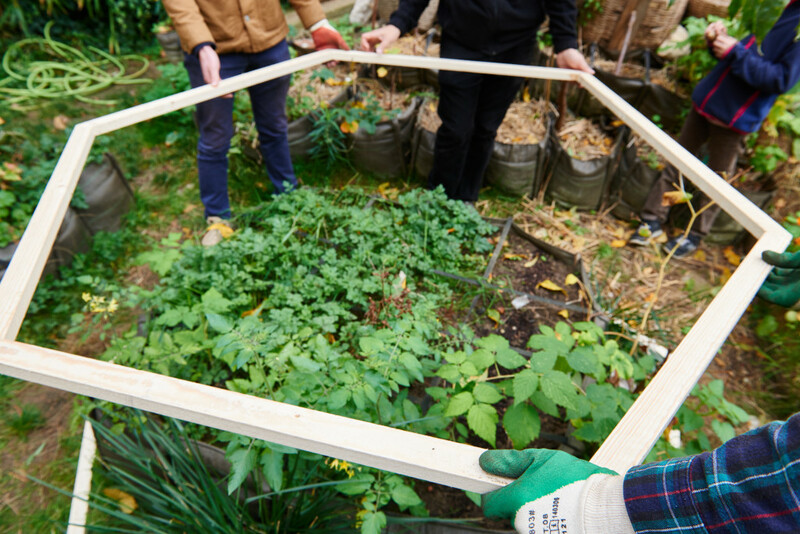 Communities of neighbors get together in order to promote urban horticulture, to prevent overbuilding and to take care of spaces otherwise left abandoned. 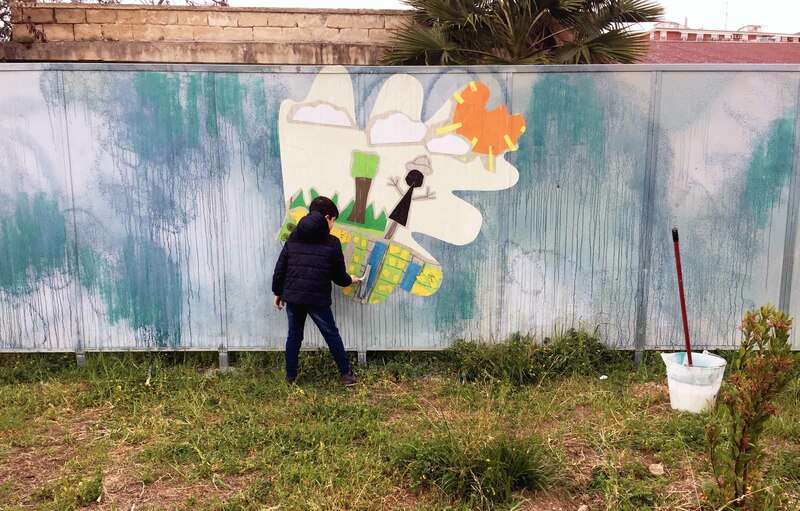 The artist minds the importance of green spaces in cities for a healthy environment, water and heat management and the good “land use” planning. 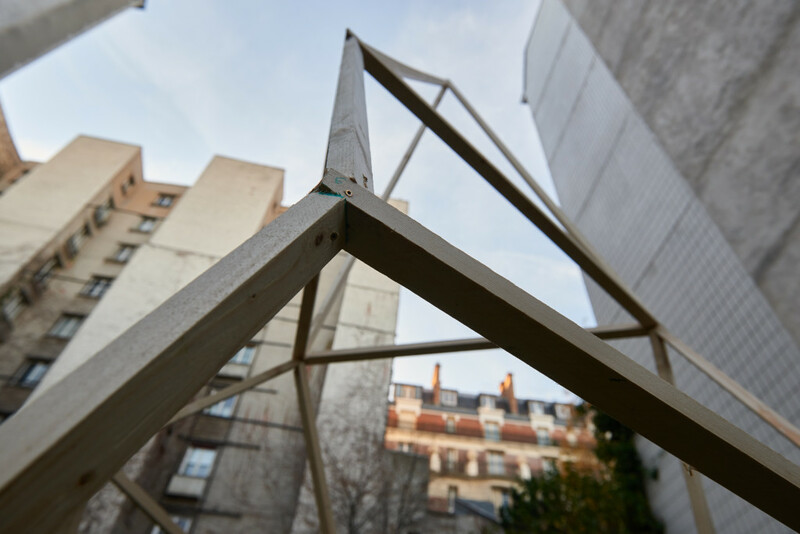 His artistic practice in the urban context takes also inspiration from the “UGT” Urban Green Technologies, his research topics for many years, and the aesthetic of interstitial landscapes according with Gilles Clement’s “Third Landscape Manifesto” (Manifeste du tiers paysage). 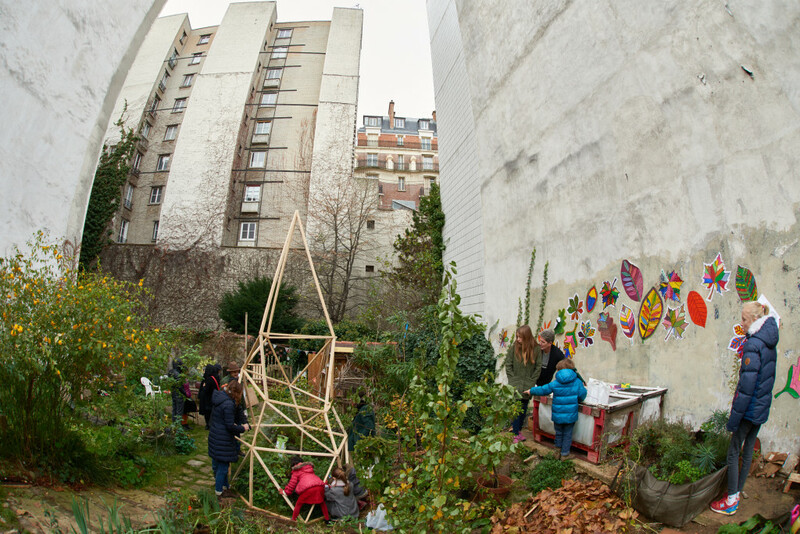 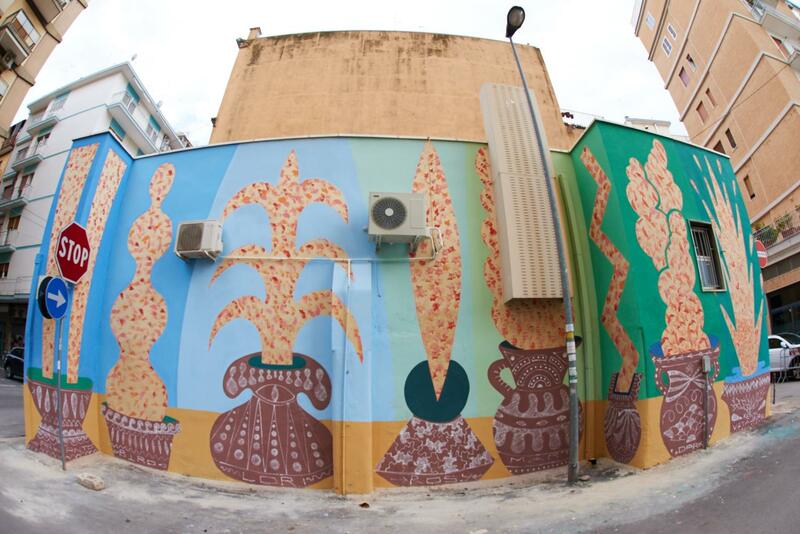 The project has been produced by GFR with the patronage of 18e Mairie de Paris and the Mairie De Paris.